Zimbabwe’s ruling party Zanu-PF on Sunday sacked President Robert Mugabe as its leader and appointed his former Vice President Emmerson Mnangagwa as the new leader, the BBC reported. 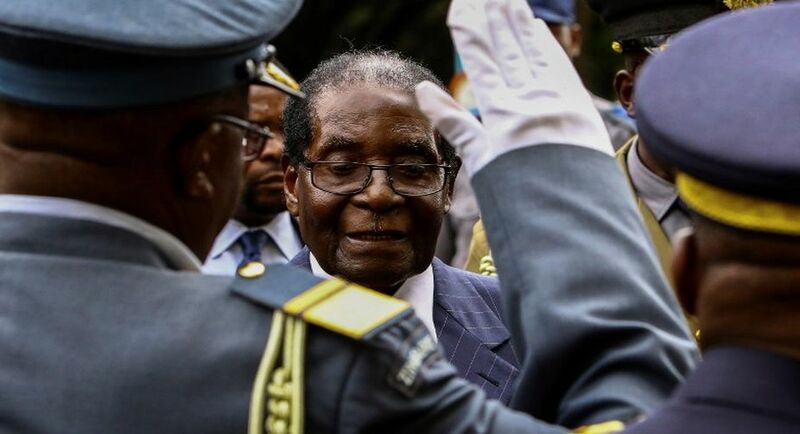 Mugabe’s sacking of Mnangagwa as Vice President two weeks ago had prompted an extraordinary chain of events as the military intervened to block the 93-year-old President from installing his wife Grace in his place. Sources close to the military quoted by the Guardian said the President had asked a Catholic priest and lifelong friend to act as an intermediary in talks with generals. Mugabe had previously rejected similar offers of mediation, suggesting that he was close to making a significant concession. The head of the influential War Veterans Association, Chris Mutsvangwa, threatened to “bring back the crowds and they will do their business” if Mugabe did not step down. Mugabe has been President of Zimbabwe for 37 long years.